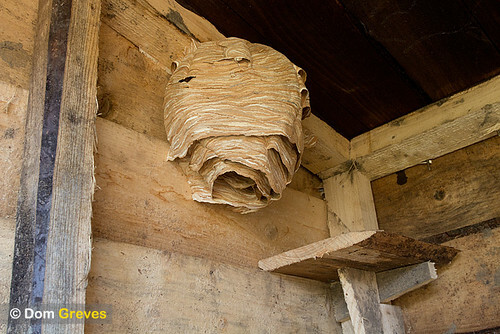 Abandoned hornets' nest (Vespa crabro) in composting toilet. Dorset, UK. Some remaining pupae but no larvae or adults in evidence. Possibly the new generation of hornet queens had emerged, left the nest and the colony disbanded.